Spring is here and summer is right around the corner. During these seasons I tend to pull out or reach for more springy colors. 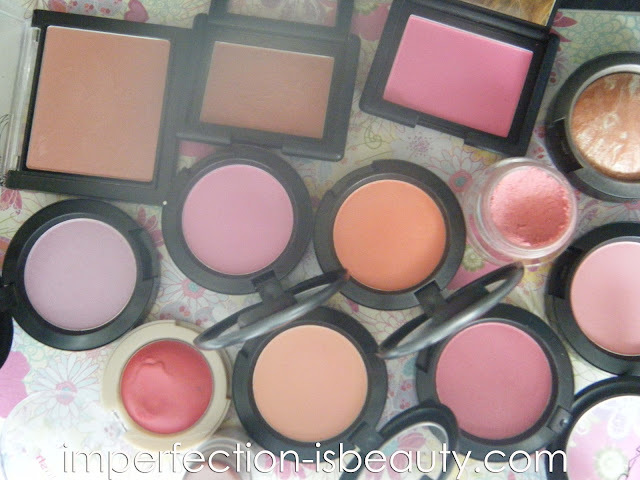 Lately I've really been loving the Tres cheek blushes of course, however I do have a few other spring type blushes I wanted to share! 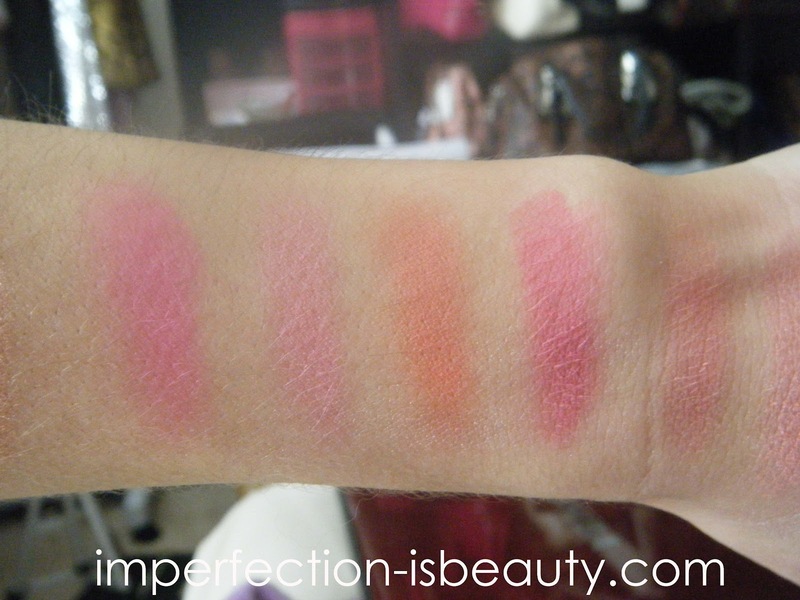 Have a favorite spring/summer blush? 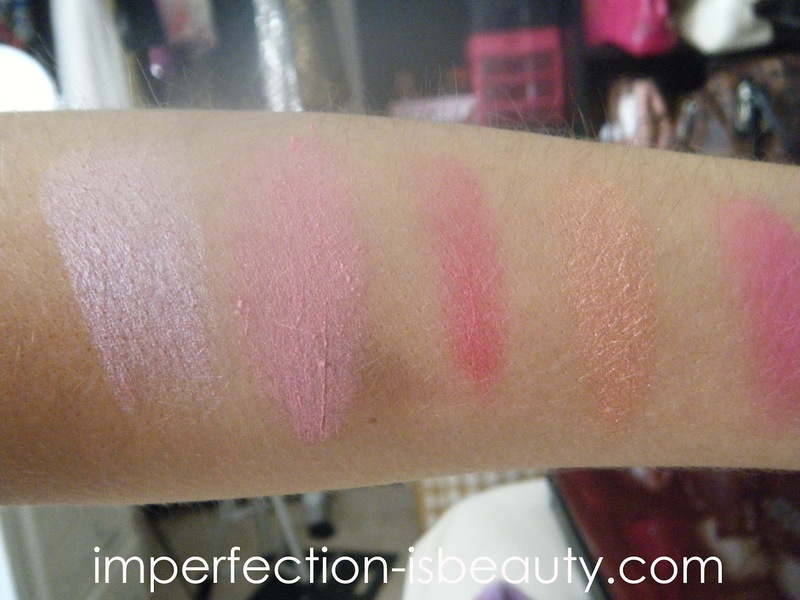 Bright blushes are so fun! I actually do not own any of these but I have been eyeing MAC's Dollymix. 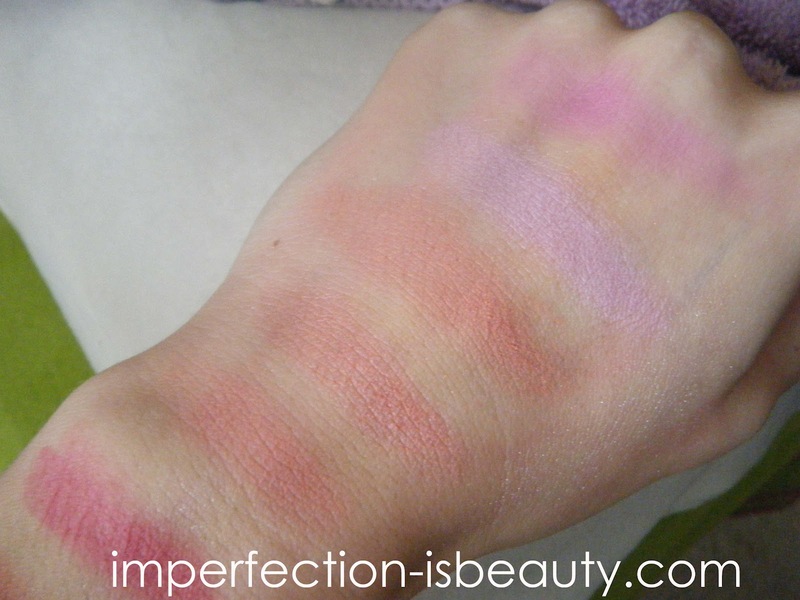 mac improvise is lovely in this swatch.